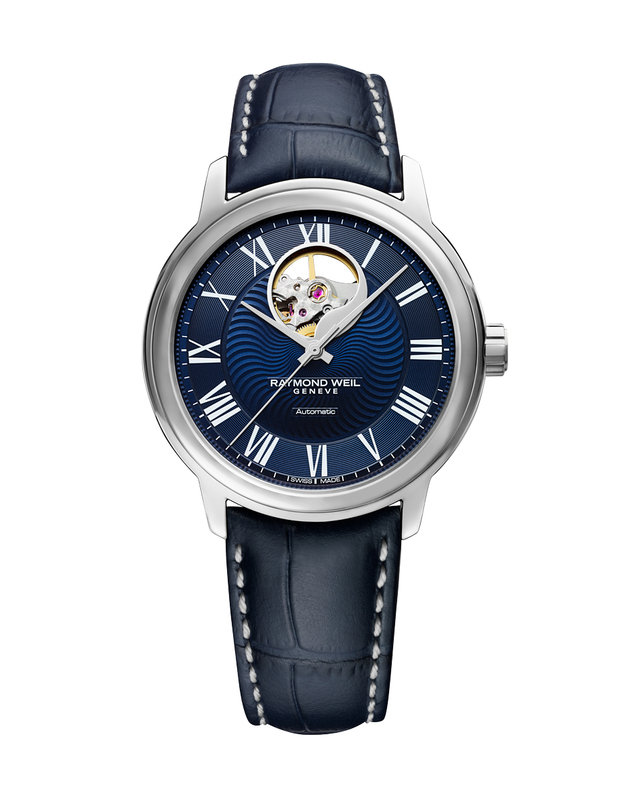 New Orleans retailers will be delighted to learn that Raymond Weil has launched two new timepieces inspired by blues music. Appropriately, the two Maestro Blues models both have deep blue coloured dials. 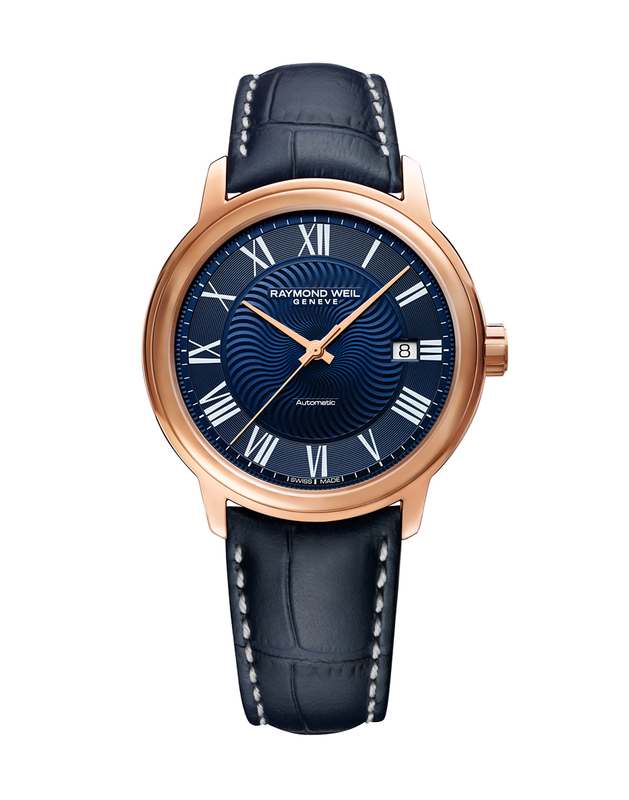 The 40mm collection comes in steel or rose gold PVD-plated cases with alvanic dark blue dials endowed with a wave-like motif in the centre surrounded by oversized white Roman numeral hour markers. The rose gold coloured model has a date aperture at 3 o’clock, while the stainless steel version has a hole in the dial at 12 o’clock that reveals part of its RW 4200 movement. Both versions of the deep blue timepiece come with a blue alligator-style calf leather strap with sewn in white stitching, and a folding clasp with a double push-security system.